price – with us genuine value for money is guaranteed, no matter how basic or complex the job at hand. Convenience and efficiency are essential aspects of our range of professional cleaning services. Because we know people have widely varied requirements when it comes to property cleaning, most of our services can be modified to suit individual needs – without unnecessary hassles or unreasonable extra spending, of course. We also organise and carry out for comprehensive cleaning treatments which are referred to as service bundles or packages. Purchasing a complete cleaning package for your home, office or establishment is practical, efficient and affordable – you get a lot of cleaning for a very reasonable amount of money, plus you get to twist the service your way. Below you will find brief descriptions of our main cleaning services, these will give you a good indication of what each service is about and what can be included in terms of additional options. For detailed information on pricing, availability and booking process please contact our customer consultants by phone or online. The cleaning solutions listed below can be tweaked as per your own needs and wants, as well as booked in combination with each other for more convenience and even better value for money. A variety of additional options can be requested as part of most services in store – for more information speak to our customer advisors. Domestic Cleaning – a versatile and inexpensive way to keep your home clean and fresh whenever and however you require. Domestic cleaning can be modified as per your own needs and wants, or made to include handy additional options. Fixed schedule house cleaning services can also be arranged for on weekly, fortnightly or monthly basis. Oven Cleaning – the quick and easy way to keep your oven in tiptop condition without breaking a sweat or the piggy bank. The cleaning process is safe and suitable for all types of ovens including self-cleaning models. We use specially formulated, low abrasion/scour products in order to yield optimal results without causing damage to appliance surfaces and coatings. End of Tenancy Cleaning – a fully comprehensive cleaning treatment available to both landlords and tenants. The service is very thorough and can be made to focus on specific or heavy duty areas of the property. Additional options like steam cleaning for carpets and upholsteries can also be included. 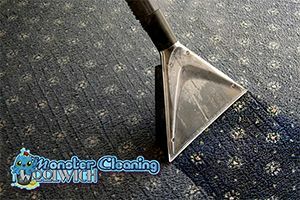 Carpet Cleaning – professional steam/dry cleaning suitable for all types of natural and synthetic fibre carpets. Effective in stain and odour removal, doesn’t affect any of the carpet’s optical and comfort properties. Can be performed safely on a regular basis. Professional advice from us – have your carpets cleaned in this way at least once every four months for better indoor hygiene. After builders/post renovation cleaning – a cost effective, thorough treatment designed to get the property ready for use after renovations, remodelling and construction projects. Spring/deep cleaning – the service is designed to sanitise and freshen up the place after long periods of disuse or cleaning neglect. Commercial/office cleaning – we can look maintain hygiene at your workplace at a very reasonable price, and with excellent results, service available as one off or on a fixed schedule basis, out of business hours services also available. Patio/driveway cleaning – specialised pressure washing suitable for a variety of surfaces and materials. Use of professional grade jet wash equipment. Safety considerations apply – please speak to our consultants for more information on this service. Being a professional service provider we aim for consistent, high standard results in all instances. So far our private and business customers have received nothing short of the best possible service at the best possible price. We make this happen through working with skilled and experienced cleaners who are trained in the safe and efficient use and application of industry certified cleaning systems (equipment, materials and products). All of our staff are trained to work with minimum water and resource waste. We try and limit the use of aggressive/caustic cleaning products.